Discover Japan with your taste buds in this culinary adventure through Japan’s cities, towns and countryside. We’ve teamed up with Traveling Spoon so you can taste local Japanese cuisines and experience the entire gastronomic process, from gathering ingredients at a local marketplace and making your own dishes, to learning how to present each dish – a vital Japanese tradition. Immerse yourself in Tokyo’s vibrant and various cultures, experience Kanazawa – the city of artisans, and Shirakawa-go in the Japanese Alps. Depart home for Osaka. Lose one day due to time change. Upon arrival at the airport, you’ll be met and escorted to your train or bus into Osaka city, where you will check in to your hotel. Spend the next two nights in Osaka. Explore the boisterous city of Osaka with your private guide. Learn a bit of its history as you walk through shopping arcades and entertainment districts while sampling the ‘kitchen of the world,’ as the city is sometimes called. With an incredible array of extremely talented chefs and a variety of tasty eats; from gourmet fare to the more affordable but wildly popular ‘B-grade’ street food the locals love. Explore Osaka’s famous food and utensils market street, Doguyasuji and sample grilled octopus takoyaki dumplings. 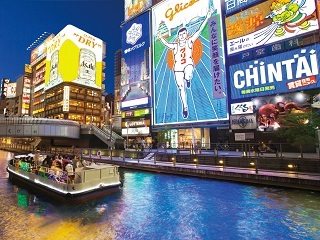 Experience the contrasts of Osaka’s many shopping, restaurant and frenetic nightlife districts. 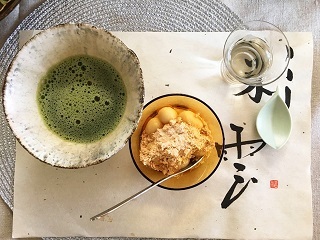 Late morning, learn about Japanese food at your home-hosted culinary experience with a local expert, followed by a trip to Umeda and its Sky Building. Its unique (and rather massive) architecture is out of this world. 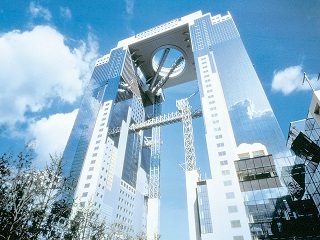 Visit the top of the 568-foot tall building for incredible panoramic views of Osaka city. 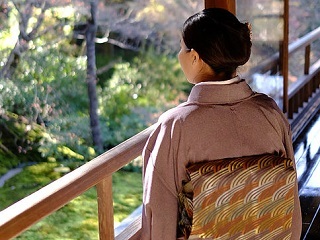 Journey by train this afternoon to Kyoto and check-in to your hotel for the night. Learn the fundamentals of Japanese aesthetics, Zen architecture and horticulture as you explore the distinguished stone garden at Ryoanji Temple, the spectacular Kinkaku-ji (Golden Pavilion), Shogun’s Castle, and a charming downtown market with your guide. Walk along picturesque streets and maybe even catch a glimpse of a geisha making her way to work in the beautiful district of Gion. Enjoy a special lunch featuring Shojin Ryori Buddhist vegetarian cuisine, featuring seasonal ingredients. Today highlights the significance of Kyoto’s eastern mountain area. Start with a visit to the graceful garden of Heian Shrine, the acclaimed Ginkakuji (Silver Pavilion), followed by a beautiful and leisurely walk along the celebrated Philosopher’s Path. Continue on to one of Kyoto’s most photegenic slopes with winding streets filled with small, specialized shops and cafes set against the backdrop of the temple-filled Eastern Mountains. 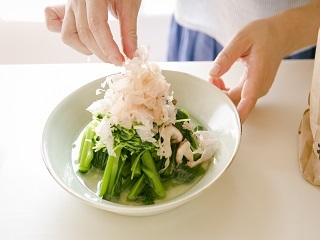 For lunch, enjoy preparing and eating Obanzai food – a cuisine distinct to Kyoto that relies heavily on vegetables, seafood and other local and seasonal ingredients – prepared in the home of a Kyoto local. Travel by train to another jewel-like town set against the backdrop of the Japanese Alps. 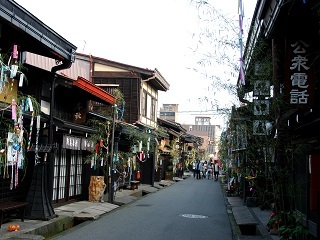 Soak in the atmosphere of past centuries in Takayama, a small town that has kept the feel of its feudal days. The afternoon will be devoted to exploring the gems and heritage of the old town. In the evening, choose to indulge in one of Takayama’s delicacies – hida beef – as delicious as Kobe beef. Takayama is renowned for its morning markets where you can find locals selling fresh fruit, mountain vegetables, flowers, and knickknacks. 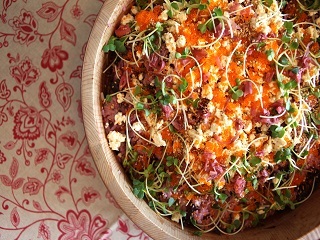 Learn how to make traditional Japanese cuisine by sourcing local ingredients from a river’s-edge farmer’s market, cooking using traditional methods, and presenting the food you prepare in an artistic way. Spend the afternoon either exploring Takayama or visiting the neighboring town of Hida Furukawa. Try sake at one of their breweries and take in the town’s historic sights. You may choose an an optional scenic bike ride through the countryside. Continue on to Shirakawa-go, a World Heritage Site. 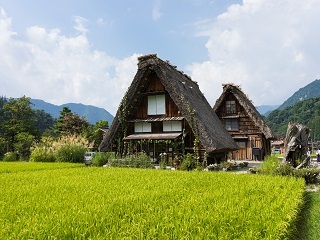 The town is dotted with traditional large-roofed gassho-zukuri houses – named for their resemblance to praying hands, with small rice fields, connected by a network of waterways. Continue on to the city of artisans – Kanazawa – to experience its rich heritage of crafts and artisanship ranging from gold leaf production and kimono dyeing to ceramics, lacquerware, decorations, and more. Kanazawa also boasts one of Japan’s most renowned gardens (Kenrokuen), an old samurai quarter, a preserved geisha district, and an award-winning modern art museum. Depart Kanazawa by bullet train to Tokyo – the heart and capital of modern Japan. Meet your guide and spend the day discovering both historic and modern neighborhoods by public transportation, and riding on one of the best (and busiest) subway systems in the world. 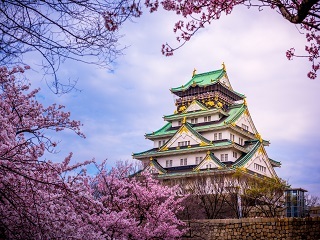 Learn more about the city’s history at the Fukagawa Edo Museum, visit the traditional downtown area of Asakusa, walk through one of Tokyo’s oldest neighborhoods, and get acquainted with Tokyo’s peculiar subcultures in Akihabara. Don’t miss Tokyo’s nightlife! With its neon signs, thousands of lively restaurants and bars, and colorful entertainment districts it promises a evening to remember. Once the weekend rolls around, Tokyo explodes with a cacophony of sites, sounds, and smells. Your guide will help you experience it all. Many of Japan’s unique pop cultures, fashions, and subcultures have developed here in the heart of Tokyo, right next to some of the nation’s most culturally significant temples and shrines, thanks to Tokyo’s trendsetting teens. Modern Japan meets tradition in areas such as Harajuku, Omotesando, and Shibuya, and the results are fascinating. For lunch, try your hand at making a delicious bowl of ramen at a local restaurant. 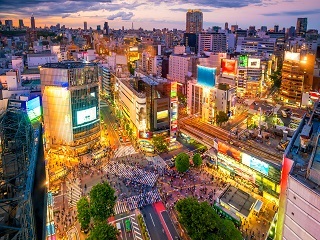 Tokyo offers it all – from the biggest fish market in the world to refined Japanese culinary aesthetics located within tall works of superb architecture. Right next door? 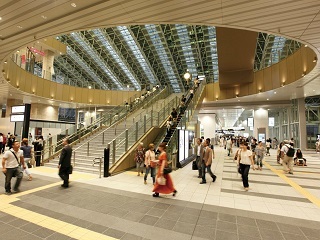 High-end shopping districts selling Japan’s latest technological innovations. Begin your day with Tsukiji Fish Market and end it with a visit to the man-made island of Odaiba, visiting many incredible Ginza attractions in between. 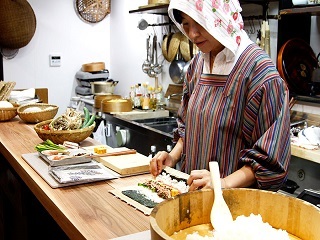 For lunch, enjoy an authentic Japanese home-cooked meal in a local household. 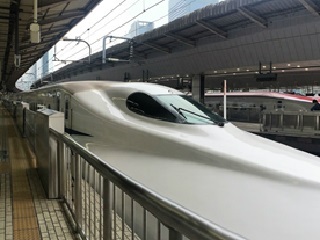 Depart Tokyo today via train or airport shuttle and catch your flight home.